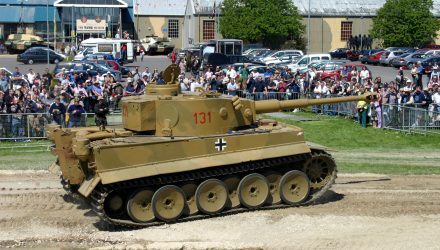 In the Tiger Collection you may notice that the exterior of the Jagdtiger and Production Tiger II have an unusual texture. 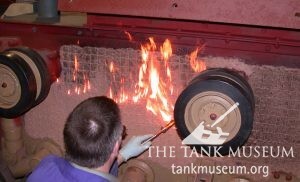 This is Zimmerit – a protective layer to decrease the magnetic properties of the tank’s armour. In late 1942 the Germans began to field an anti-tank mine that attached to its target with magnets. 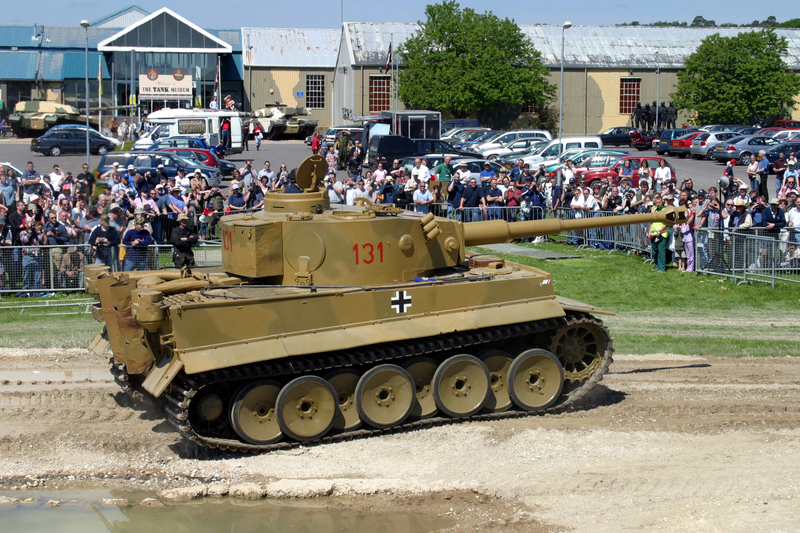 There was concern that the Allies would copy this weapon, so Zimmerit, a paste applied to German tanks and assault guns, was devised as a countermeasure. Although it was not fully anti-magnetic, the thickness of the paste and its patterned application was meant to reduce a magnet’s ability to stick to the tank. Zimmerit itself was a chemical compound made up of pine crystals dissolved in benzene, zinc sulphide, barium sulphate, pine saw dust, PVA glue, pebble dust and ochre. When mixed correctly the result was a sticky soft putty. It was applied with a trowel to particular areas of the vehicle according to specific instructions. 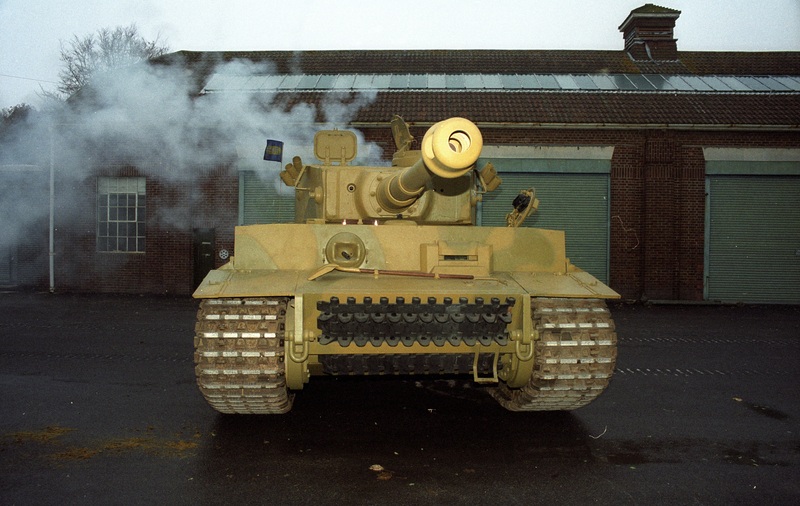 Coating a Tiger I required 200kg, a Panzer IV half that. The total required thickness was 6mm. 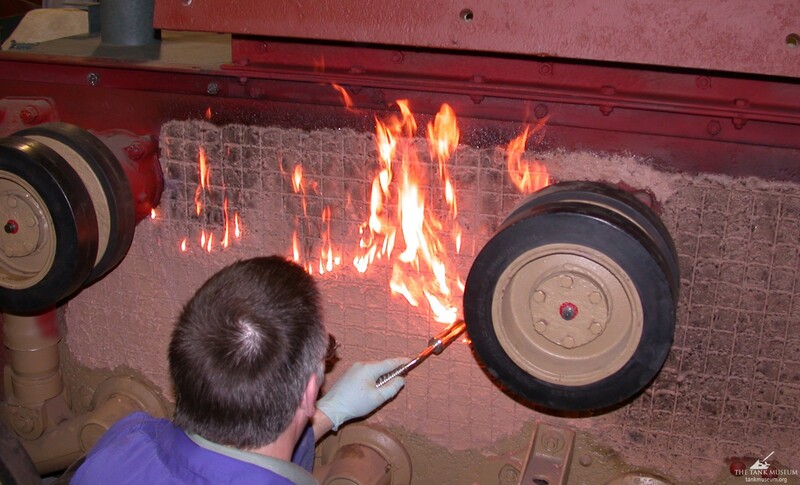 Workers applied a 2mm thick layer and allowed four hours for it to dry before using a blow torch to burn off excess moisture and harden the paste. They then applied the remaining 4mm. The surface was patterned and the blow torch was applied again. 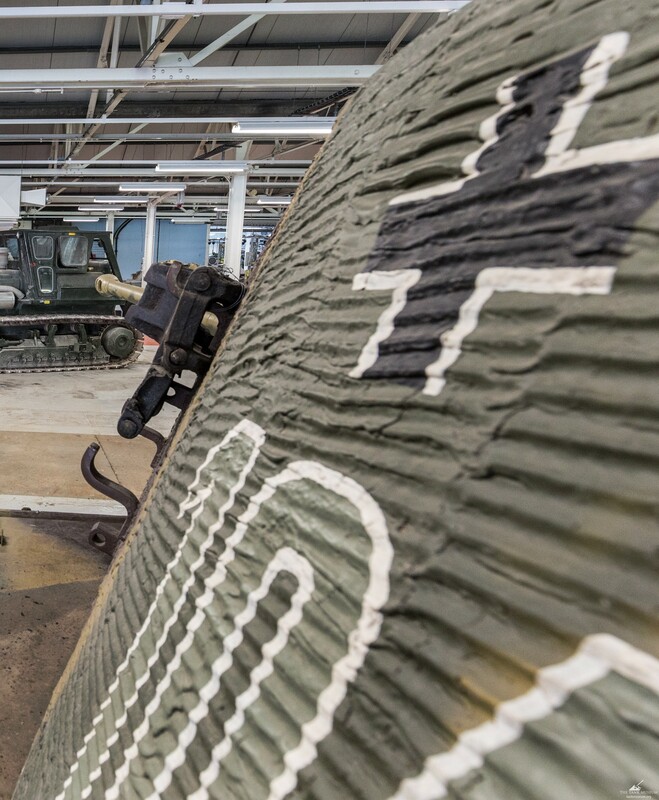 The patterns applied varied across vehicles and from factory to factory. They were generally based around narrow horizontal ridges, but some patterns used squares or a waffle shape. The presence of the benzene could lead to fairly spectacular fires when the blowtorch was applied, but as the alternative was waiting up to 8 days for the Zimmerit to harden naturally, the risks of this were accepted. An example of the impressive fires that can result from burning off the benzene. Generally armoured surfaces that were in easy reach of troops on foot received a Zimmerit coating. Side skirts, stowage and areas that might interfere with moving parts usually did not. Zimmerit was applied at the factory from August 1943 onwards, and could also be applied by units in the field. 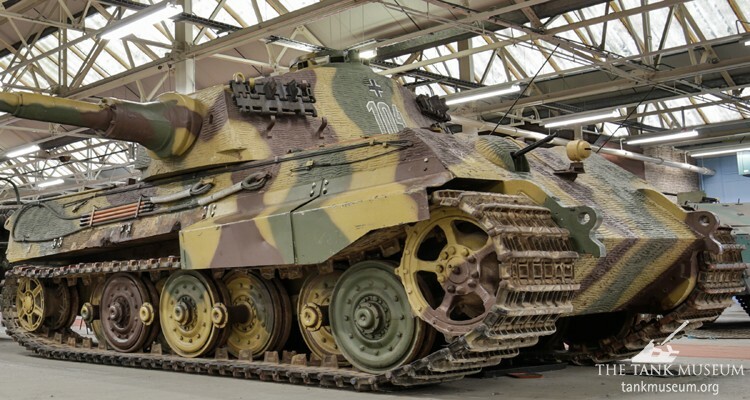 Its use was discontinued in September 1944 because of rumours that it could be set on fire by shell impacts. This was tested and officially disproved. 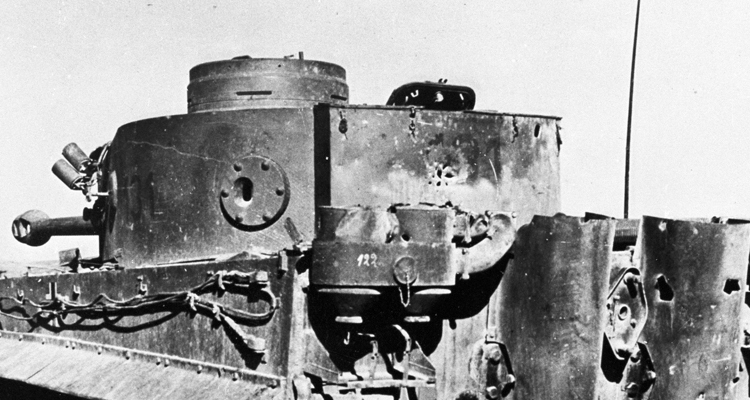 However if the Zimmerit had not fully hardened by the time the vehicle entered combat there would still be flammable benzene present, so the rumour could have a basis in fact. Another reason for discontinuing the expensive and time consuming process was that in the end none of the Allied nations used magnetic anti-tank mines, so it was a wasted effort. 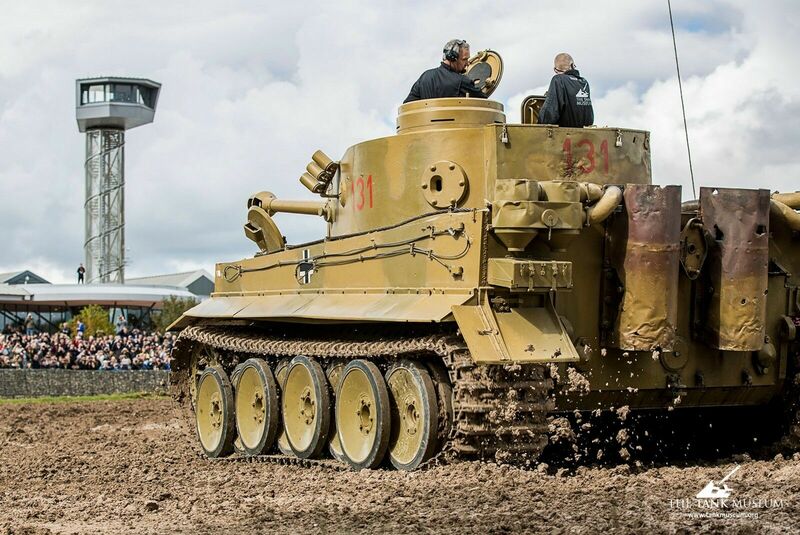 In the Tiger Collection, original Zimmerit coatings can still be seen on the Jagdtiger and the Tiger II with Production turret. I love the articles, everything from paint schemes to zimmerit! Keep em comming! But 200 kg against nonexisting weapon on maximum strech engine is a bit to much, don’t you think?